Everyone I know is inundated with unwanted (scam) cell phone calls and text messages. 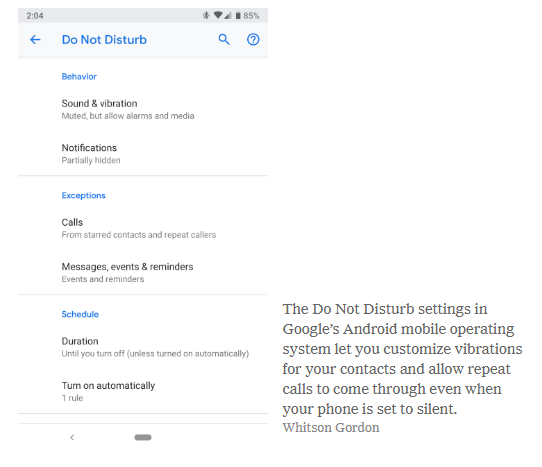 The New York Times a few days ago had an outstanding article on how to deal with this problem, How to Use ‘Do Not Disturb’ on Your Phone (While Still Letting Important Calls Through) NYT by Whitson Gordon, Jan. 24, 2019. This entry was posted in Ecommerce, Potpourri. Bookmark the permalink.